The tenets of Nonviolent Communication are applied to a variety of settings, including the classroom and the home, in these booklets on how to resolve conflict peacefully. 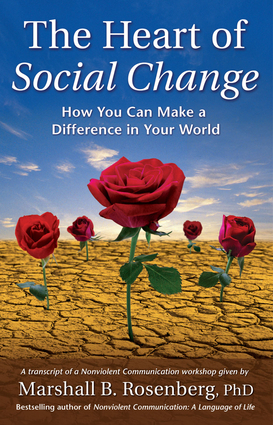 Illustrative exercises, sample stories, and role-playing activities offer the opportunity for self-evaluation, discovery, and application.This insightful perspective on effective social change is illustrated with how-to examples. Marshall B. Rosenberg, PhD, is the author of Life-Enriching Education and Nonviolent Communication. He is the founder of the Center for Nonviolent Communication, an international nonprofit organization that teaches peacemaking skills across four continents. He lives in La Crescenta, California.